WMT has a found a winning strategy as a dominant omnichannel retailer. That strategy should continue to lift Walmart stock. The retail scene has changed dramatically over the past several years, thanks to technology. Some retailers haven’t changed with it, so their stocks have either already made their way or are making their way to the graveyard. See Sears and J.C. Penney (NYSE:JCP). Other retailers, though, have changed with the times, and those retailers are succeeding in today’s new retail world, which is defined by digitization, personalization, and unprecedented convenience for customers. The traditional retailer that has adapted best to the rapidly changing retail scene is Walmart (NYSE:WMT). That’s why Walmart stock is up 50% over the past three years, broadly outpacing the S&P 500‘s 40% gain during that same stretch, despite the huge headwinds facing the retail industry. WMT’s successful initiatives will enable Walmart stock to continue to outperform. In short, there was old Walmart, which was a really big retailer with old stores and low prices. Now there’s new Walmart, which is still a really big retailer, but significantly more dynamic with fresher stores, a bigger digital presence, a robust omnichannel business, and much, much more. New Walmart is a winning Walmart. As long as new WMT continues to gain traction, Walmart stock will continue to rally. Right now, new WMT is still gaining traction. The retailer’s latest innovation is a subscription-service partnership with KIDBOX that allows Walmart.com shoppers to order personalized, curated kids’ clothing boxes up to six times a year for roughly $50 per box. It’s a genius move that aligns Walmart with the personalization, curation, and subscription delivery trends that are becoming more prevalent in the retail world. The more genius moves like this that Walmart makes, the better Walmart’s numbers will get, and the higher Walmart stock will go. It’s that simple. And, if this dynamic plays out as expected, WMT stock should near $110 this year. In the big picture, there’s old Walmart and new Walmart. Old Walmart is what Walmart was at the beginning of this decade – a huge brick-and-mortar retailer with low prices, old stores, a largely undifferentiated product mix, an essentially non-existent digital presence, and zero omnichannel capabilities. New Walmart is what WMT has turned into in recent years; it’s still the world’s largest retailer with low prices and a huge brick-and-mortar presence. But those brick-and-mortar stores have been given a much-needed facelift. WMT’s product mix has become exceptionally differentiated through partnerships with brands like Lord & Taylor. Its digital business has become very big and is still growing very quickly (WMT’s digital sales jumped 43% last quarter). Moreover, Walmart now has numerous omnichannel capabilities, including grocery pick-up and delivery. In other words, WMT has adapted as the retail world has dramatically changed during the course of this decade. These adaptations have kept WMT relevant in the retail world and actually allowed it to take share from other traditional retailers that didn’t adapt. Consequently, Walmart has reported positive comparable sales growth in every quarter since the second quarter of 2015, a streak that is very rare among retailers. WMT will continue growing at healthy rates because new Walmart is a winning Walmart. Walmart is now successfully aligned with every positive trend in retail, from digital to subscriptions to personalization. As a result, its comparable-sales growth will continue to be positive for the foreseeable future, and this healthy growth will ultimately drive WMT stock meaningfully higher. At the present moment, the valuation of Walmart stock has room to expand as the company’s operations continue to improve. Over the past several years, WMT has reported comparable-sales growth in the low-to-mid-single-digit-percentage range. Its comp sales should largely continue to grow at similar rates, driven by continued retail innovation, digital-business expansion, and, potentially, the growth of its digital-ad business. As a result, Walmart’s top line should rise by low-to-mid-single-digit-percentage levels for the foreseeable future. The company’s margins won’t expand by a ton, but they should improve, as the company’s relatively new India-based e-commerce unit, Flipkart, grows and its margins increase. Plus, if digital ads become a meaningful revenue source for WMT, they should push its margins higher. That’s what’s happening at Amazon (NASDAQ:AMZN). Putting all that together, WMT’s earnings per share should reach roughly $7.50 by fiscal 2025. Based on a forward price-earnings multiple of 20, which is average for consumer-discretionary stocks, that implies a fiscal 2024 price target for WMT stock of $150. Discounted back by 8% per year (below my customary 10% discount rate to account for the 2% dividend yield of Wal Mart stock), that equates to a fiscal 2020 price target for WMT stock of $110. Walmart reinvented itself over the course of this decade and is arguably more relevant to consumers and the retail world than ever before. The benefits of this reinvention are far from over, and WMT stock remains on track to hit $110 in 2019. As of this writing, Luke Lango was long WMT and AMZN. 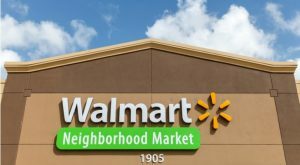 Article printed from InvestorPlace Media, https://investorplace.com/2019/04/the-new-walmart-is-a-winning-walmart-so-investors-should-buy-walmart-stock/.